Home / Burgundy / “Vibrant,” “Delicious” 2016 White Burgundy from Michel Gros. “Vibrant,” “Delicious” 2016 White Burgundy from Michel Gros. Burgundy doesn’t have to be expensive or ageworthy to be delicious. A talented winemaker with excellent terroir can make terrific wine miles from the main drag, and today’s wine is a perfect example. Michel Gros is best known for his brilliant red Burgundies from towns like Vosne-Romanée, Chambolle Musigny, and Nuits-St-Georges. But he also holds quite a bit of land in the Hautes-Côtes de Nuits, a patchwork of rolling hills to the west of the Côte d’Or. With so many excellent reds, one might wonder why Gros bothers with a white at all. But one taste of this wine will settle the question. 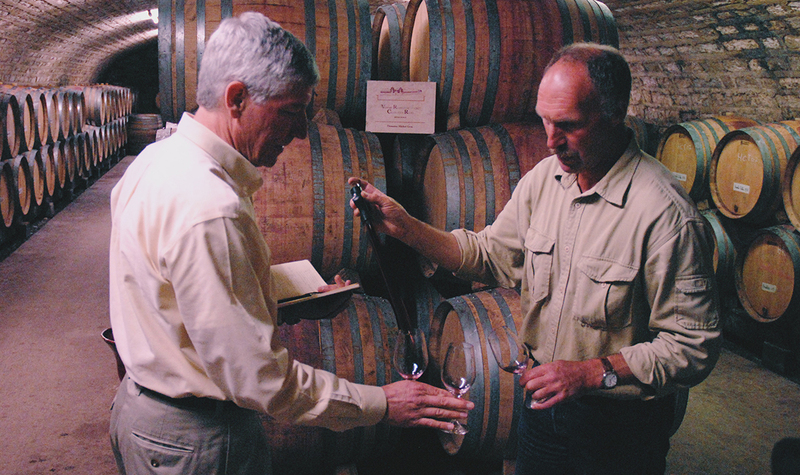 The Fontaine-Saint-Martin vineyard is named for an ancient Cistercian abbey dating to 1127. We offered the excellent 2015 red from this vineyard last week, and today we offer the 2016 white from the same plot. The soil here is the same mix of marl, clay, and limestone found on the Hill of Corton, and while the Fontaine-St-Martin won’t compete on richness or longevity, its smooth floral quality readily calls to mind the famous Grand Cru. The 2016 whites are a delight — a lovely combination of ripe richness with a lively refreshing core. Gros’s cuvée is no exception: open, approachable, and simply delicious today. Burghound found it “round, delicious, and attractively vibrant,” and balanced by a “fine bead of minerality.” The nose is floral, showing gardenia, white pepper, pears, toasted lemon. The mouth is intense and smooth, at once mouthfilling and fresh. Pair this welcoming, mouthfilling wine with a Sunday afternoon veal stew and a polar vortex. Next post: Polar Vortex? Try Châteauneuf-du-Pape.